Celebrate 20 years of Cowboy Bebop by joining the crew of the Bebop and hunting criminals with your crew mates. 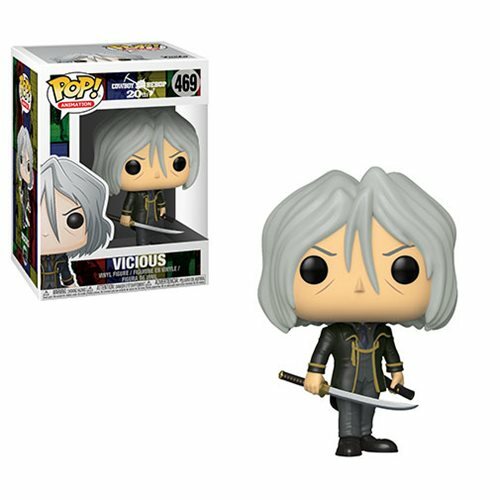 This Cowboy BeBop Vicious Pop! Vinyl Figure #469 comes packaged in a window display box. Measures approximately 3 3/4-inches tall. Ages 3 and up.